The Warriors decide that Steve Kerr is the right head coach for this team going forward. Sadly, I am not so sure about this. I want to be excited, but I am worried. 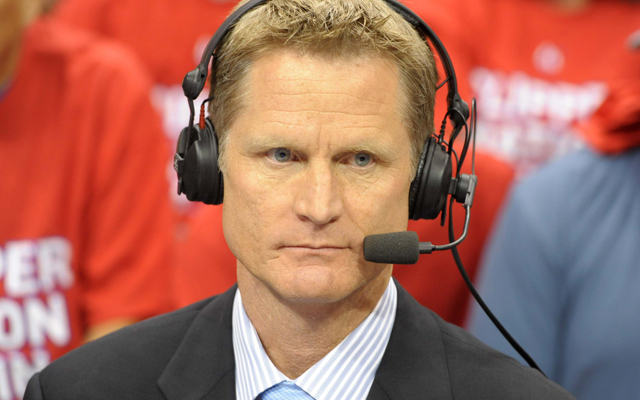 Kerr is just like Mark Jackson. Former NBA guard who also did broadcasting before making the Warriors his first head coaching job. Granted, Kerr has front office experience but this is still a big step into the unknown for both sides. Will this work? I don’t know. Kerr has no previous coaching experience so I don’t even know what he can offer. The Warriors better have made the right decision here. This entry was posted in Golden State Warriors, NBA and tagged Steve Kerr. Bookmark the permalink.